WATCH Party Drug to Treat Depression? Ketamine, typically considered a recreational drug, has been shown to help people suffering from depression who haven't responded to other medications, a new study has shown. Researchers at Stanford University assigned a group of 30 people suffering from depression to receive either ketamine and naltrexone, a drug known to block opioid receptors in the brain, or ketamine and a placebo. The group that received ketamine and a placebo saw a greater improvement in their symptoms a day later, researchers found. The findings suggest ketamine has a therapeutic action on the brain's opioid receptors, which contradicts previous research and a longstanding belief that ketamine's mechanism in treating depression is similar to other standard anti-depressant treatments that target glutamate receptors in the brain. As such, this may mean researchers have a new target for treating major depression. A person holding up a bottle of Ketamine. 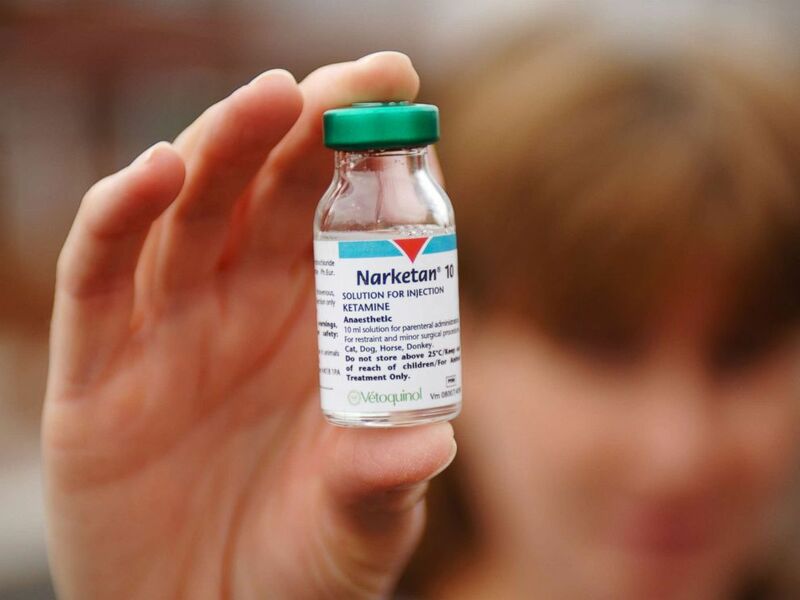 The study's results also come at the height of a controversy over ketamine. Although the neurological effects are well-studied in both mice and humans, the drug's use as an anti-depressant remains an off-label recommendation. "Before we did the study, I wasn't sure that ketamine really worked to treat depression," Dr. Alan Schatzberg, a professor of psychiatry and co-author of the study, said in a press release. "Now I know the drug works, but it doesn't work like everyone thought it was working." Ketamine now could be seen as an alternative treatment option for people not responding to typical medications. However, given the arc of pain, depression and opioid addiction, the study's authors also cautioned against its use. "We have to properly examine the risks associated with using drugs of abuse -- even in low doses -- to treat depression," Schatzberg added. Dr. Italo M. Brown is an emergency medicine physician and writer for the ABC News Medical Unit.